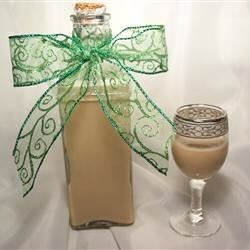 "Strictly for grown ups, this recipe smooth and creamy beverage is made with either almond or coffee liqueur." Combine condensed milk, liqueur, cream, and eggs in a blender, and whip until smooth. Serve over ice, if desired. This recipe is easy to make. It is smooth, creamy, and delicious!